that today’s web to print workflow systems require. As commercial presses become more versatile, so does Van Son technology. In fact the Van Son SUPREME process series is designed to accommodate the needs of an evolving print market. Whether that means faster drying, higher speeds or adjusting to paper stock, selecting the SUPREME process series will assist in achieving the ease and efficiency that today’s web to print workflow systems require. 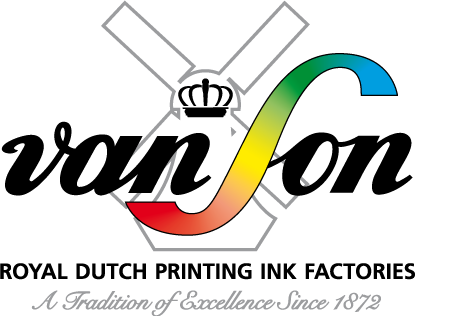 With excellent press stability, very fast setting, hard drying, low tack and intense colours, the Van Son SUPREME process series is formulated to promote peak performance on straight and perfecting sheetfed offset presses and in particular on B2, B1 and larger format multi-colour presses. The SUPREME process series features low tack, coupled with a stable ink water balance and is suitable for printing on a variety of substrates. Additionally, SUPREME is compatible with a wide range of finishing applications, making it a truly versatile process series. 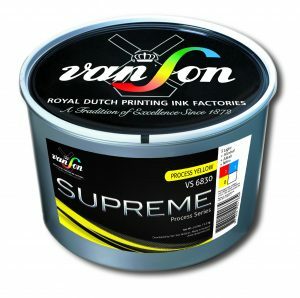 Capable of handling a broad spectrum of printing conditions and substrates, Van Son SUPREME process series provides the highest performance and overall reliability while delivering outstanding results. Selecting SUPREME process series makes it easier to meet every deadline with faster make-ready times and swift post-print processing, ensuring that every print order is fulfilled quickly.